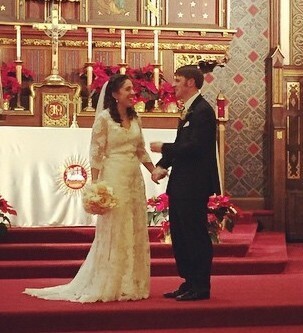 My cousin Rachel recently got married on a gorgeous, snowy day in St. Paul, Minnesota. I know she and her now husband, Joe, worked hard planning out every detail for the event and it all paid off. The beautiful ceremony at St. Mark’s Church was followed by a reception at the Machine Shed. Everything was festively decorated for Christmas and the hot chocolate bar was such a great idea. 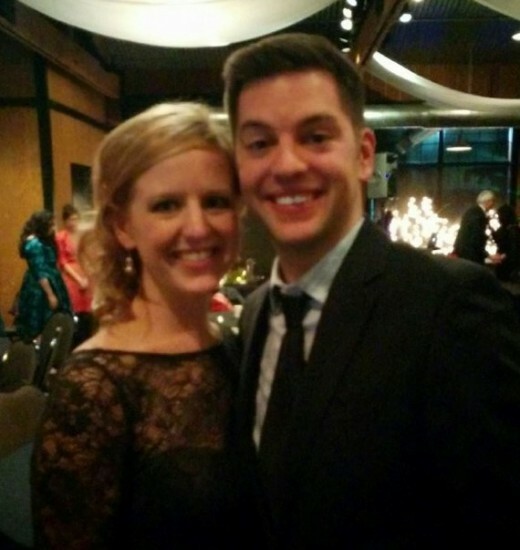 The wedding was particularly memorable for me because Rachel has always been like a sister to me. I was incredibly honored to be apart of her big day as her matron of honor, and I’m so happy for the two of them as they begin their married life together! I wanted to first share a few pictures of the big day. 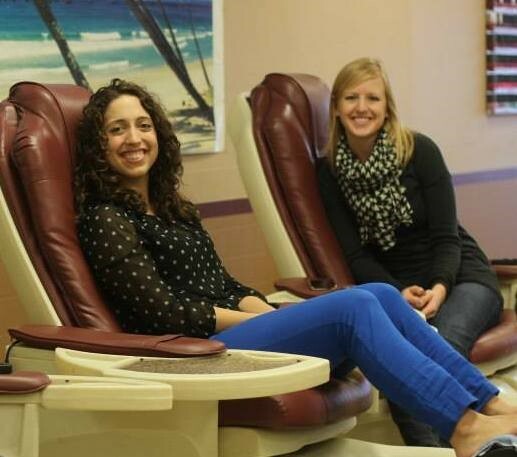 Rachel and I at the nail salon! Officially Mr. and Mrs. Hubly! 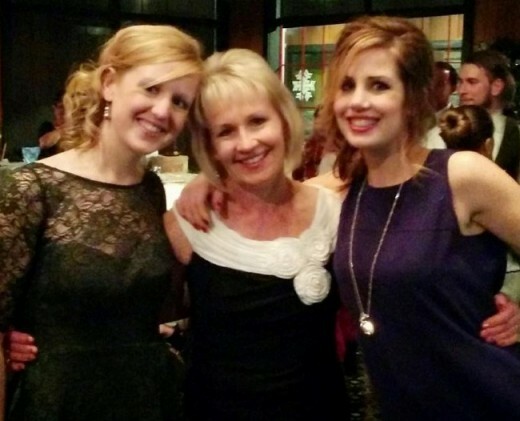 With my mom and sister at the reception. As Rachel was busy planning and preparing for the wedding, she reached out to me and asked for some advice on what to add to her registry. I remembered how overwhelmed I felt the first time I added things to our registry, so I was eager to help out. I ended up creating a list of essential kitchen tools, along with some product advice, and shared it with Rachel while she was registering for gifts. I wanted to take the opportunity to share this list with all of you so you can hopefully learn from my experiences and equip your kitchen with everything you need to maximize your cooking experience! 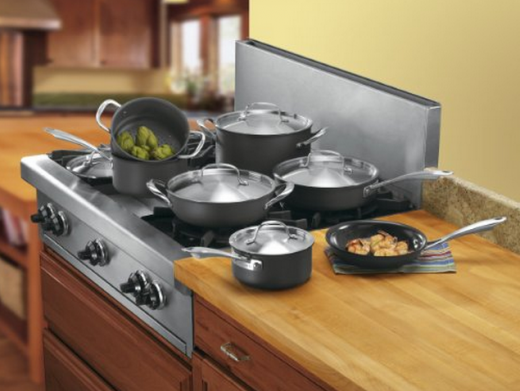 A set of pots and pans is an essential part of a kitchen if you intend on doing any cooking; this item is a no-brainer. However, there are so many kinds and types, deciding which set to buy can be overwhelming. 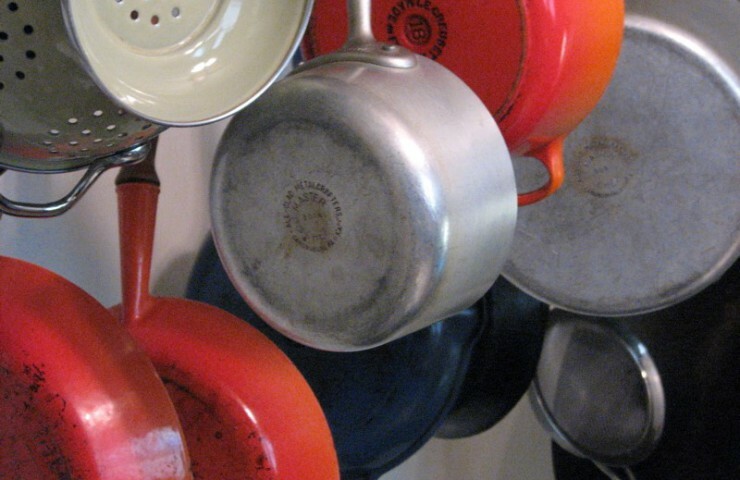 Pots and pans are available in aluminum, anodized aluminum, cast iron, stainless steel, copper, enameled cast iron, and steel or aluminum with a non-stick coating. There are pros and cons of each, ranging from cost to heat conductivity to level of maintenance. I own Cuisinart’s Green Gourmet 12-piece set, which is made of anodized aluminum and contains a ceramic based non stick coating free of PTFE. One of the biggest selling features for me is the ability to place the pots and pans in the oven and broiler. This set is very reasonably priced and contains everything I need. In additional to my Green Gourmet set, I cook with my Le Creuset saucier pan and Le Creuset skillet/grill pan. Owning cast iron or enameled cast iron is a must. Le Creuset produces high quality cookware; while expensive, it’s made to last a long time. Cast iron typically takes longer to heat up, but it retains heat well and distributes it evenly. 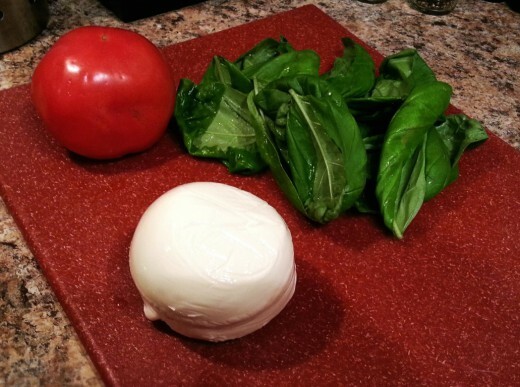 It promotes more efficient cooking and is versatile because it’s safe to use in the oven. When I talked with my cousin about cookware, I told her what I owned and explained how I thought having both were a good idea. The funny thing is, as I was writing this article, my opinion changed. If I were to purchase cookware again, I would only buy a basic cast iron set. Why you ask? First, cookware is expensive, regardless of which type you purchase, but some sets are definitely better quality. It makes sense to pay a little extra for a product that will last longer. And second, I realized that of my 12-piece set, I only consistently use my small skillet, deep fry pan, sauce pan, and dutch oven. Why store a large set when you only use several pieces? Currently, I don’t own enough Le Creuset cast iron to meet all of my cooking needs, so utilizing my Green Gourmet is a necessity. However, if I purchased a dutch oven, and skillet, I’d be set. I think I just convinced myself to head that direction; saving space in my new kitchen and owning fewer things that are better quality is quite appealing. Every cook needs a good quality chef’s knife. Essential for meal prep, a sharp, good quality knife will make your life a hundred times easier. 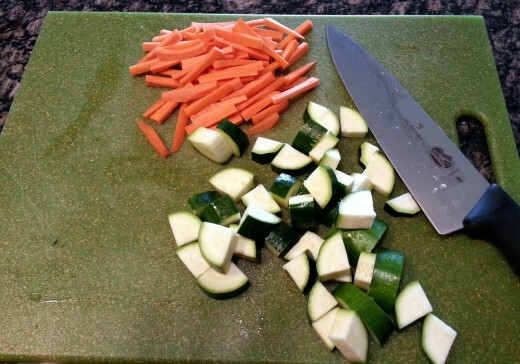 Combined with a large cutting board, you may actually enjoy chopping and dicing vegetables (I do!). I definitely appreciate my Victorinox knife so much more after using crappy, dull knives all throughout college. Thanks to my husband who knows me so well and got me one for a Birthday gift! One note: take good care of your knife. Hand wash it and sharpen when needed. Like cookware, flatware is a necessity in everyone’s kitchen. I’m not including it on my list to tell you to buy a set, but to call out a few important characteristics you should look for when making a purchase. It’s worth it to invest a little money in a nice set that will last you many years. 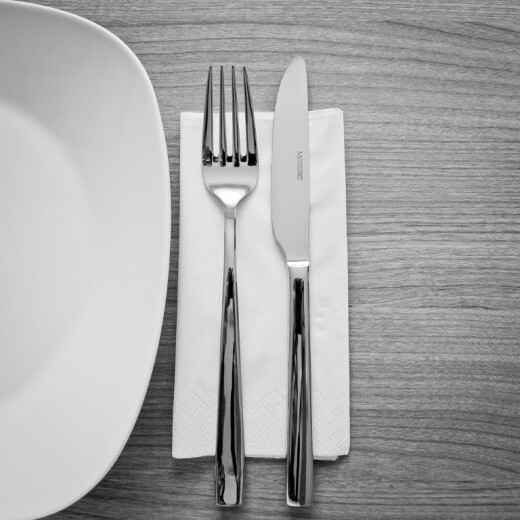 Flatware can be made out of several materials including gold, silver and plastic, but the most common material today is stainless steel and that’s what I’d recommend buying. When purchasing stainless steel flatware, take note of its rating. A rating consists of two numbers. The first number represents the percentage of chromium and the second number depicts nickel content. Chromium is added for durability and to prevent corrosion, while nickel adds even more durability and the luster to flatware. Common ratings are 18/10, 18/8, 18/0 and 13/0; the higher the number, the higher content of chromium and nickel. Since flatware is something used daily in a kitchen, purchase a highly rated set (18/10) to ensure you have a good quality product that will last a long time. My husband and I received a J.A. Henckels set for our wedding; it’s incredibly durable, rust-free, and has shown no signs of ware after 4 years. Regardless of which brand you choose, look for the 18/10 rating I promise it will be worth the investment. I feel like this one is self-explanatory. Dishes are a kitchen essential and in my opinion, it’s also essential for them to be dishwasher safe and microwave safe. Not being able to place dishes in the microwave and dishwasher would not only take more of my time, it would be a big inconvenience. I made sure to check the labels of our plates and bowls before registering for any of them. 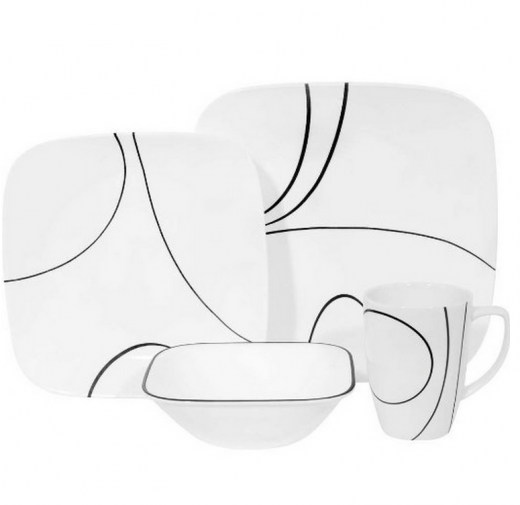 My husband and I ended up getting two sets: one set of solid white, square dishes and one set of Corelle dishes, similar to the picture above. I love having a nicer set for entertaining or fancier meals, along with this set of Corelle for more everyday usage. In addition to a good chef’s knife, large cutting boards will make your life much easier when it comes to prep work in the kitchen. I have two of them, along with a smaller sized board and I find them to be sufficient. For sanitary reasons, it’s a good idea to use one board for vegetables, one for fruits and other acidic foods, and one for prepping raw meat. Make sure to wash them well after each use! 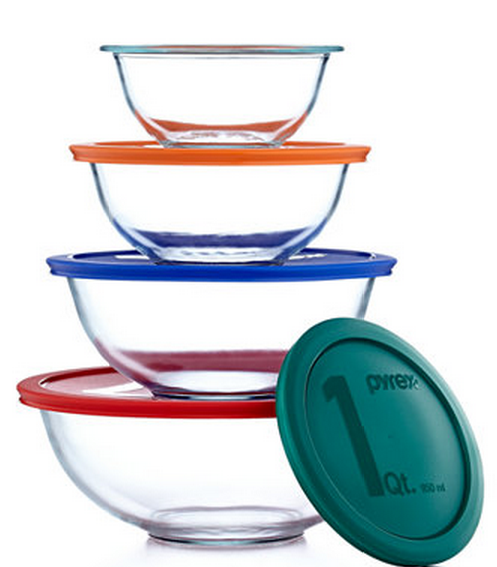 These Pyrex mixing bowls are perfect for mixing, prepping and storing. I love them because they have lids. I hate using plastic wrap on every bowl or plate I put in the refrigerator. Lids are less wasteful and help reduce odor from foods in the refrigerator. If you are into bringing your own lunch to work or reheating leftovers at home, these Pyrex storage bowls are a must-have. 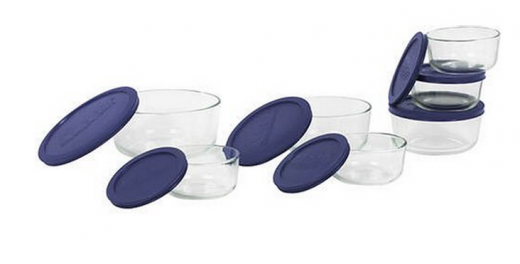 Stop using plastic containers in the microwave and replace them with glass bowls. Use the plastic lids when storing and transporting food, but remove the lids and cover the bowls with paper towel when microwaving. Another reason to use glass over plastic for food storage: glass doesn’t absorb odors or stains from food. I recently told my husband I want to get rid of my decorative canisters and replace them with OXO Pop containers. I have several OXO containers in my pantry already that I use to store lentils, pastas, quinoa and homemade muesli (see Summer Tomato for a great, simple recipe) to name a few. These have a great seal, are airtight, and keep food fresh. They come in all different sizes, which make them extremely versatile and compatible with any pantry. I have a feeling I will be buying more containers for flour, sugar, and brown sugar once we get settled into our new place. My husband and I bring coffee with us to work every morning so a good portable coffee mug is essential. 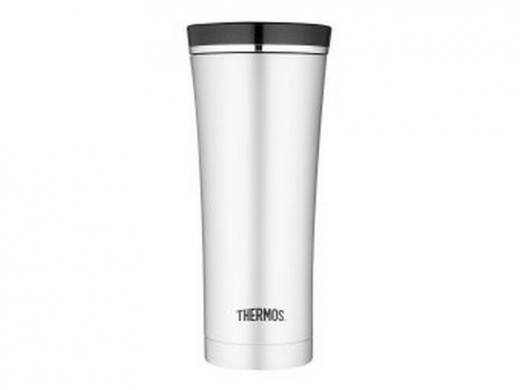 We went through several mugs before finding this Thermos coffee mug and now we’re hooked. Why is this mug better than the others we’ve used? There are a few reasons. First, it’s stainless steel and keeps our coffee hot. Coffee leftover in my mug at the end of the day is still warm. Second, it has a great seal and doesn’t leak (unless you forget to close the lid, put it in your backpack and drive to work… ahem). Finally, and most importantly, the mouthpiece is easy to clean. It consists of four pieces that are easy to take apart and reassemble, and are all easily washable. The entire mug is dishwasher safe, but I’d recommend hand-washing it. I never thought to register for a silicone coated whisk but I received one as a wedding gift and am so glad I did. Once you have a nice set of pots and pans, the last thing you want to do is use a metal whisk or utensil on the bottom of your pan and scratch it. 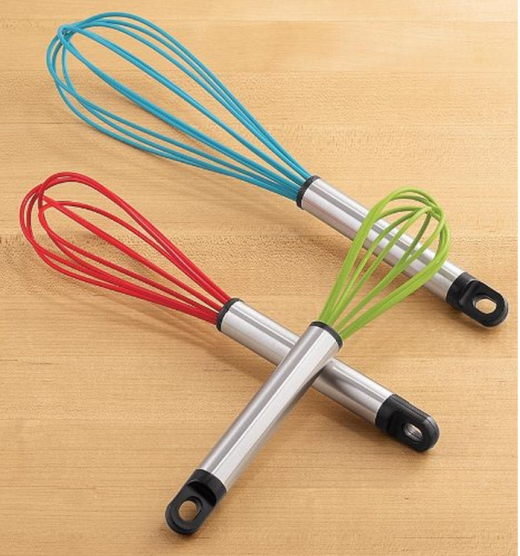 I use this coated whisk anytime I’m cooking a sauce or stirring over the stove. It’s not an expensive utensil, but it’s worth the money. Your pots and pans will thank you! That concludes my list of ten kitchen essentials, but check back soon for some tips on other kitchen related items! Do you have any tools or gadgets you use all the time in the kitchen and can’t imagine not having? Share below in the comments!